The holidays are here with Thanksgiving just a few weeks away. There will be millions of people across America traveling meaning that the airports will be packed. Google has announced that for the holiday season it will be giving travelers in some of the largest airports in the country free WiFi. The free WiFi is available now through January 15 2010 in 47 different airports across the country. Some of the major airports include Las Vegas, San Jose, Boston, Baltimore, Burbank, Houston, Indianapolis, Seattle, Miami, Ft. Lauderdale, Orlando, St. Louis, and Charlotte. 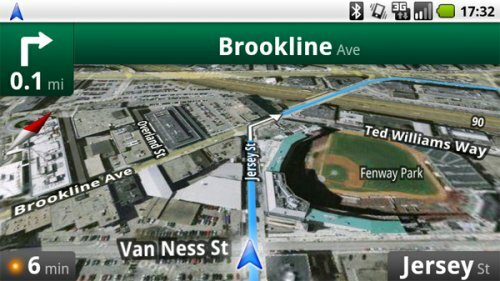 Google has unveiled Maps Navigation (beta), an upgraded version of the current Maps software that will be free and apparently available on all Android 2.0 devices. You get all of the usual Maps features, along with being able to search by the name of a business and it will even suggest the closest matches and traffic data. There’s also turn-by-turn navigation with a female robotic voice and integration with satellite and street view. Street view will be able to show you what lane you need to be in when exiting the highway, for instance. It will also now search along the route when you’re looking for gas stations or fast food. Some addresses can be added to the Android home screen as icons too. The fine folks at google never stop working. Good thing too, because you and I always benefit. Google Voice has expanded its reach once again. This time to include voicemail support for your carrier-issued number, along with other features like online, searchable voicemail, free automated voicemail transcription, custom voicemail greetings for different callers, email and SMS notifications and affordable international calls. Every carrier in the nation must be pissed. The real interesting thing about these new options is that your messages follow you no matter what, even if you switch carriers to get some hot new device. Word is that Google is planning to launch a music service and according to sources quoted by TechCrunch, the company is securing content from major labels right now. One source calls the service “Google Audio”. It’s unclear if this music platform will be download-based like iTunes, or streaming-based like Pandora, but apparently it will be available to “at least” the US. Google already has a music service in China that lets users download tracks for free, and it has a music search engine that can be accessed by typing “music:” before your query in the search box. However when you access a song that way they aren’t available to listen to. Google has now started public testing by invitation only of Wave, a new online tool for communication and collaboration between people online. 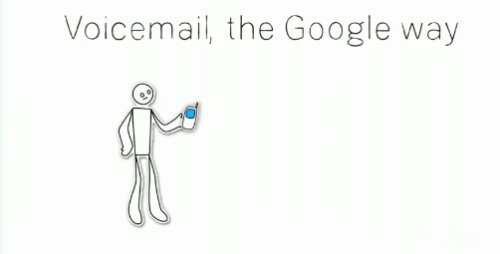 Wave has been described by its designer as what email would look like if it was invented today, and contains real-time communication through text, photos, video, maps and more according to Google. The communication using the Wave tool is live somewhat like an instant messenger allowing users to see others edits as they make them, character by character. 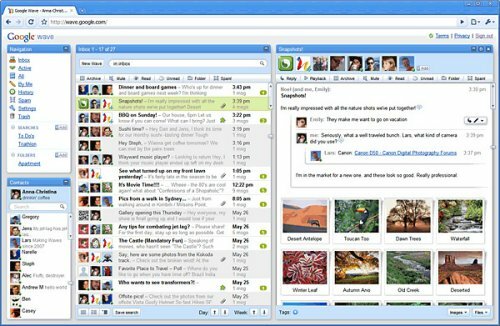 Should a users not be online at the same time, the communications will still be available to view at a later date, much like emails waiting in your inbox. On Monday Google unveiled what they are calling a “next-generation infrastructure” for their web search, and they are asking the public to give it a try. The “secret” project has been underway for months according to a recent post on the Google Indexing blog, and is almost complete. According to the post, the new system “…will let us push the envelope on size, indexing speed, accuracy, comprehensiveness and other dimensions”. 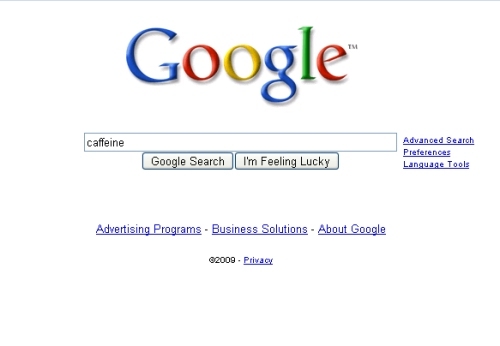 Google has codenamed the new underlying search indexing “caffeine”, and is looking for the general public to give it a try and provide feedback in the way of differences between the new and old. The new indexing can be tried out at http://www2.sandbox.google.com/, where you can do a search and see if you can tell any difference in the results. According to the blog post from Google, they are only looking for feedback in differences at this time. It’s finally here. 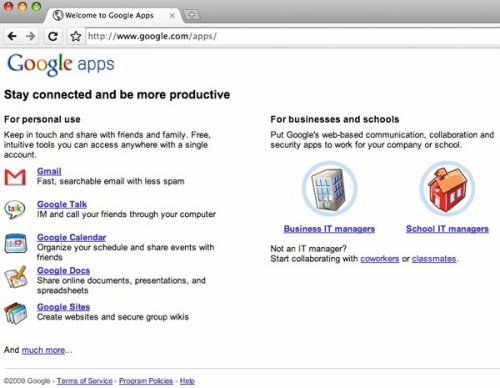 Chrome OS will be an open source platform that can “power computers ranging from small netbooks to full-size desktop systems,” and they claim the OS will be virus free and run a newly-designed windowing system on top of a Linux kernel. It will be capable of running on x86 and ARM chips. It’s separate from Android, but there will be some overlap in concept and functionality between the two platforms. A large chunk of its Google Apps suite already supports an offline mode, so it’s all ready to go. The company says it’s currently working with several OEM manufacturers and it will initially appear on a number of netbooks coming to market sometime in the second half of 2010. It hasn’t really been a secret that Google wants into the ebook market. Now it’s happening. Tom Turvey (Google’s director of strategic partnerships) says that the program will be ready by the end of 2009. Details are still a bit scarce, but according to The New York Times, the plan involves selling the books at prices set by the publisher. This is a departure to the rather strict Amazon pricing guidelines that sees most Kindle titles selling for $9.99 (Many publishers don’t like that). Also, the company will be selling readers online access to the titles. This means that access to your books won’t be limited just to a specific device, but it will require Internet access and some sort of off-line caching. The British Broadcasting Corporation which brings us such cool programs as Top Gear, Doctor Who and Planet Earth, is said to be in talks with Google to bring their VOD service to America. Anyone who has ever watched and enjoyed the BBC’s programming knows that this is a good thing. The BBC produces a bunch of channels that have a wide variety of content and many of these programs never make their way to BBC America, which pretty much just shows fluff. Good news indeed. Once you’ve seen enough English programming, you start to realize just how terrible our own shows are in the states. 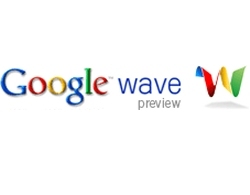 Google wave should be making waves in no time. Think of it like a live chatroom with a spread of documents, photos and/or videos, where you can reply to any part of any message or anything that’s shared, and it all operates in real-time. Basically TMI. It’s a combination of Twitter, IM, Friendfeed and other service with semi-real-time stuff. In Google Wave, you can share and collaborate on projects, and all of this is going on at once. Probably great for those with ADD. You start a wave with any message or photo or whatever, and you bring people into the stream, and then they can bring people in. 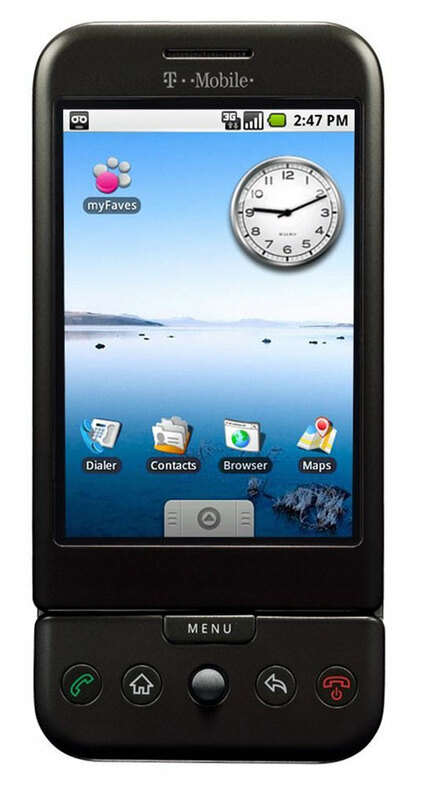 Android got off to a very slow start with the only handset being offered for a long time being the T-Mobile G1. Android has its share of early teething woes that were fixed for the most part with updates and patches. Android is now picking up steam in the market. Analytic firm Strategy Analytics says that this year Android smartphone shipments will grow by 900%, making it the fastest growing mobile OS in the market. The second fastest growing Os is expected to be the iPhone OS growing 79% over the year. Unless you live under a rock, you have heard of a netbook already. Netbooks are one of the sole bright spots in the computer industry amid the current poor global economy. The netbook market is posting significant growth as shipments of other more expensive notebooks and desktops are slumping. Psion has been saying for over a year that computer markers shouldn’t be using the term “netbook” to generically describe the small, low cost systems we know and love today. 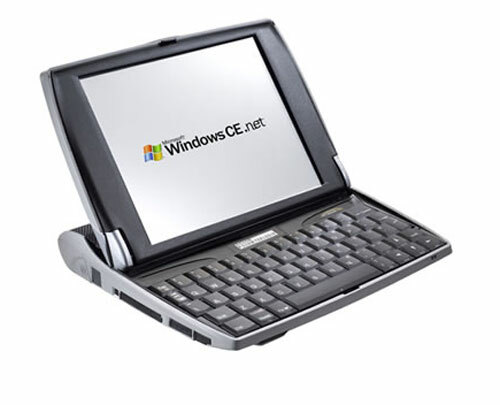 The reason is that Psion apparently owns the trademark for the word “netbook” and has a machine that goes by that name. Users of the T-Mobile G1 that have been hoping for some streaming radio action on their open source Google-powered device can rest easier now. 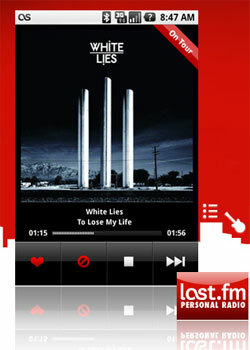 Last.fm has announced that it is now offering its on-the-go music application on the Android platform. The Last.fm application is available now on the Android Market. Features of the application include up-to-date concert information, streaming radio stations, personalized streaming radio, the ability to find similar artists and genre-specific radio streaming. Google has officially announced the availability of Google Earth to use straight from your iPhone or iPod Touch, and so far reports are that it’s not too shabby. When a good data connection is available the geographical software streams to the device relatively quickly and not only makes use of the phones full display but also it’s functionality. Multi-touch enables users to zoom in or out of a map with ease and even rotate the map on the screen. A compass in the corner helps keep your bearings. Tilting the iPhone will change the angle of the view to better see the topology of the current terrain, and “My Location” feature will bring the map right to your current location on Earth. Google also of course incorporated their search engine to find information on local businesses and the surrounding area, and built in Panoramio and Wikipedia to get articles and pictures from near your current locale. Like lollipops or Popsicles, some of us like our software on a USB drive. So, looks like some German guy is offering a no-install, “lite” version of the Google CHROME BROWSER. Google on a stick if you will. On a USB flash drive. Carsten created a portable version of Google Chrome that has all the features of the main browser but requires no installation. Just unzip all the files and start using it. It will run directly from the USB stick on any Windows computer and all of your user settings like web history, cookies, etc. will also get saved to the same folder on the stick. The software is downloadable.